This product, Echevaria “Lime n chile” is known for growing to a height of approximately 5.85 inches. 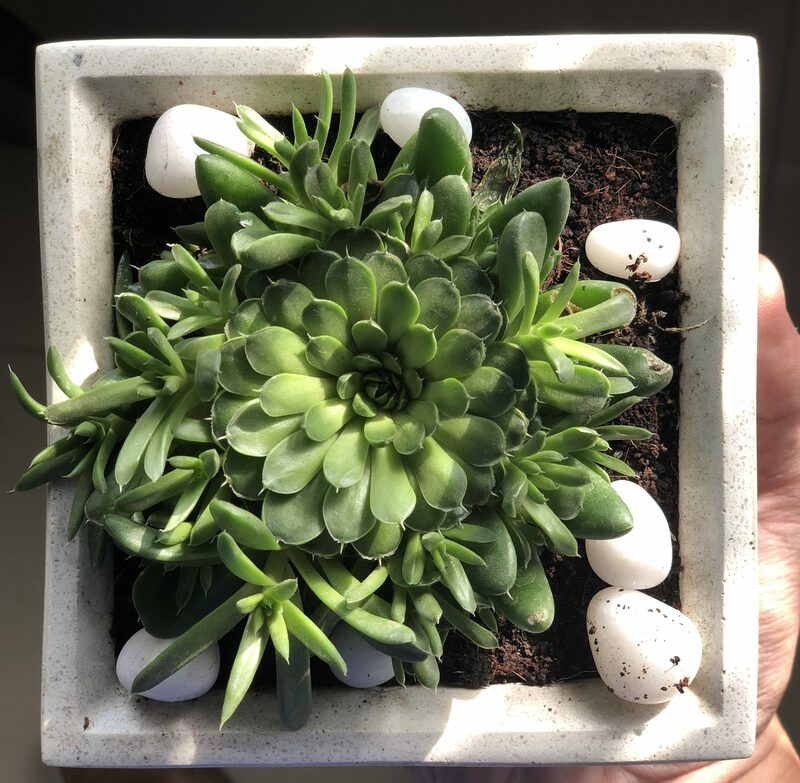 This is a perennial succulent which retains its leaves all year round with minimal sun and water, its lifecycle over the course of three years or more and comes in a beautiful cement planter and polished marble balls for decor. Echeveria ‘Lime n Chile’, forms concentric rosettes of chunky lime green or dark green leaves that often are blushed reddish at tips. Offsets beautifully to form attractive clusters. Flowers are larger than some of its other varieties and are bright tangerine, with darker orange outer petals.